Classic Builders presents the Reagan XL plan. With 4 bedrooms, 3.5 bathrooms and 3 car attached garage! Open floor plan with vaulted living room ceiling, stone fireplace and eat-in kitchen featuring hardwood flooring, quartz countertops, island/breakfast bar, tile backsplash, stainless steel appliances, pantry, recessed and pendant lighting! Lots of privacy too with 2 bedrooms on one end of the home, sharing a Jack-N-Jill bath and the master suite on the opposite side of the home revealing a master bath with double vanity, tiled shower, jacuzzi tub and large walk-in closet. 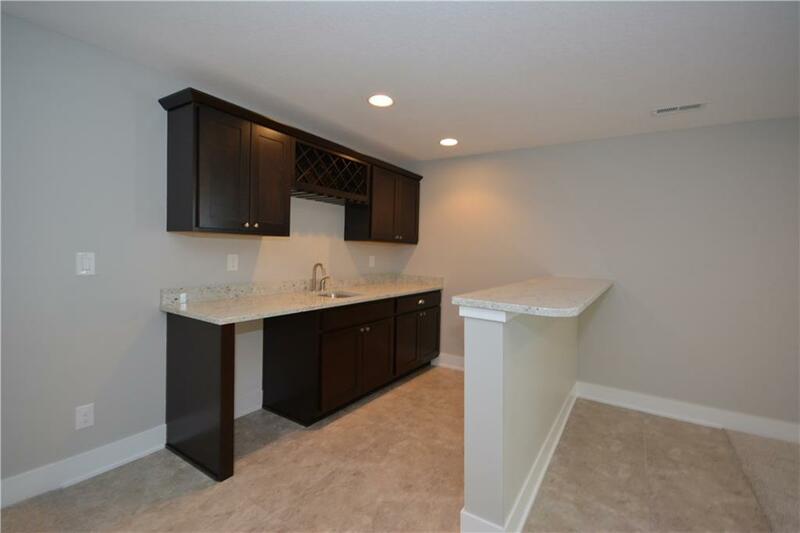 This home also features a half bath and mudroom/laundry room with built-in lockers. Over 1,300 sq. ft. finish in the lower level with, providing a family room with wet bar, full bath, 4th bedroom and tons of storage space.